My 4 year old son has been making artwork like gangbusters these last few months. Now that the fall family photo season is winding down, I made a point of recording his new found love of art the other morning. I knew the 5th of the month was coming up, and therefore my 5 on 5 Blog Circle would be due soon. This is my attempt to tell this story in just 5 images. While my focus is on my son and his artwork, I'm also making a conscious effort these days to make sure I'm including our almost 15 year old pup in the pictures I'm taking around the house. I want to continue to tell his story, documenting his role in our family and how it's changed over the years. It's that time again! Another month has gone by. 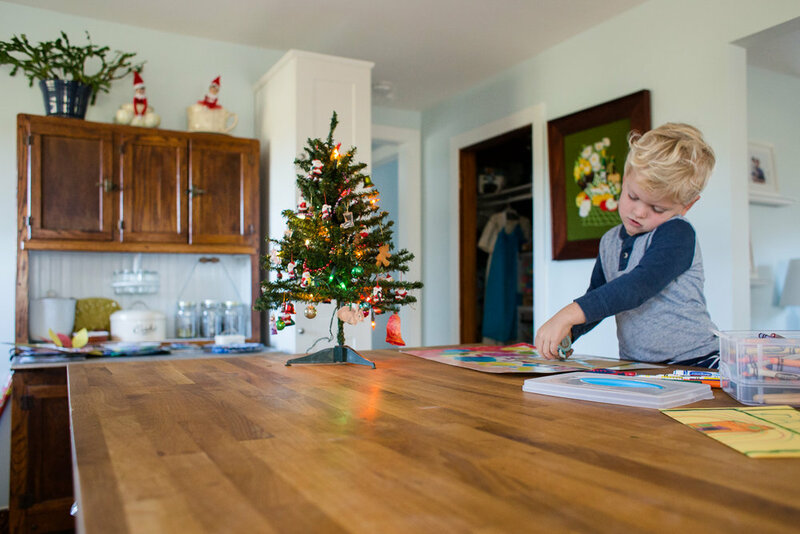 Head on over to the next stop in the 5 on 5 blog circle, and see how Melissa Kayser, St. Charles, MO family documentary photographer, tells a story in just 5 images.